Cheerful Ghost Week In Review! This has been a busy week on Cheerful Ghost, so we thought we'd do a round-up to tell you all about what you might have missed! 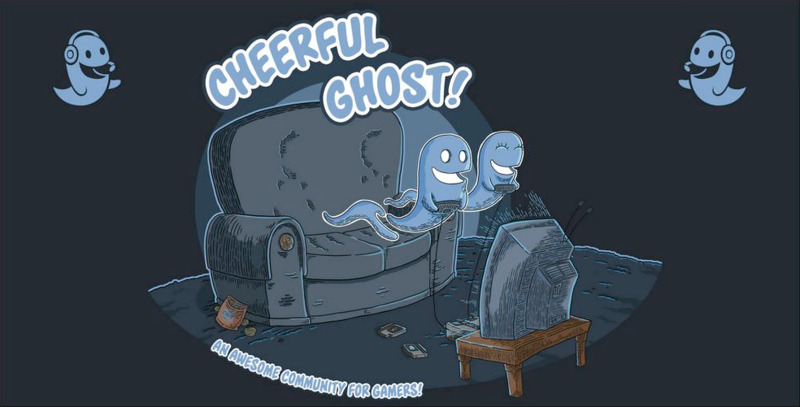 First and foremost, this week we launched the Cheerful Ghost Games BBS! This brings some classic BBS games and newer browser games to you in a nostalgic BBS-like interface. We have a nice bunch of games to start, and we're adding more! Plus Game Giveaways to Celebrate! In celebration of the aforementioned launch, we're giving away a couple of games that evoke the same kind of nostalgia we're going for, VVVVVV and Superbrothers Sword and Sworcery! Join up before the end of the month for a chance to win, and keep an eye out for other neat giveaways, or give away some of your spares! After a brief hiatus, the Games Club is back with Kirby's Adventure! Come join us as we play this classic game, and we'll include your thoughts in our upcoming Kirby's Adventure review episode of Cheerful Ghost Radio! A new Cheerful Ghost Radio Episode! This week we released a new episode of Cheerful Ghost Radio about the new Netflix sci-fi film, Extinction, as well as what we've been playing and watching over the last month. An eventful week indeed! Thank you all for being a part of it! And Jon reported that Diablo still has a future! :) Good job guys! That's cool. I don't know if this is the first time you've done a review of the week, but I think it's a pretty cool idea. I think this is true especially if there's a lot of content posted in one week. I think this may help those who don't visit the site regularly or daily. Yep, I think this is the first and so-far-only Week In Review, just because of all the big stuff this week, but I'm glad you dig it. I could imagine it being useful for the future as well. We’re launching a site blog soon. I think these kinds of wrap up will live there too and be nice to check out as historical markers in time. A site blog? Oh! You mean a blog about the site? That makes sense. Well I already consider this site a blog lol it's my gaming blog. Good question. It's a place you can go to read all the posts that relate to the site itself. So things like when we drop a new feature like the BBS or maybe these kinds of wrap up posts. For instance, if one wanted to see all the GoTY awards OR all the times we launched a feature that's not easy to do. This should make it easier to do that. Cool, that makes sense. Perhaps it could also be a place to show what may be coming or what's in the works. Maybe it could be a place where we kick around some ideas and suggestions. Yeah, totally. I sort of view it like I view where our Cheerful Ghost Radio episodes go. We tag certain content that way and it lives on that page. I really do love this wrap-up! Keep up the great work.